Recently, my best friend had a surprise birthday party thrown in her honor and, naturally, I was invited. Of course I immediately accepted the invitation (how could I not) but truth be told I am not a party person, I am an introvert. Read any of the recently popular articles or top ten lists floating around the Internet on how to “socialize with”/”spot a”/”cope with being” an introvert and you will read a description of who I am. Naturally, despite the rapidness with witch I clicked “attending” on Facebook, there was a familiar background anxiety at the idea of hanging out with a large group of people for the day. Keep in mind that these people are not strangers to me; they are my friends. I genuinely like all these people a lot and some I love like family. However the thought of making random small talk for hours on end while snacking on a multitude of chips sends me to my couch to be buried under a pile of pillows till it is all done with. A typical game night at Gameosity headquarters. I am not a shy person – not even a little. I have no fear of public speaking and can talk one-on-one with anyone for hours. I am just socially awkward as all get out. I LIKE sitting quietly and watching people around me. I love deep, life changing conversations and enjoy being around people. However if you put me in a room with ten different people and tell me to talk for hours to all of them about nothing of importance I clam right on up. This brings us to the party. It is about two hours into the festivities and I have participated in the required small talk rounds and have (thank goodness) had a few good deep conversations with super awesome party people, but I am finding that I am just about socially tapped out. I’ve reached that point in the event when I start weighing my energy levels against my love for my friends and try to calculate if its way too early to say my goodbyes. Then I hear the words that bring me back to life. Nothing is more fun than friends mixed with games. As we settled in to a game of Concept, a fantastic title by Asmodee, I felt my social anxiety fade out and I fell into the comfortable rhythm of talking, laughing and relaxing with my friends. In most situations I try and stay as small as possible. My gestures are subtle, my voice is quiet and my posture is closed (all defensive reflexes from years of school age horrors). But at this party, while playing Concept, I am standing up, flailing my hands wildly and making faces at my team to urge them to guess the correct clue; all technically against the rules, but who cares! I am fully at ease and having a great time. Hours pass and I don’t even notice. 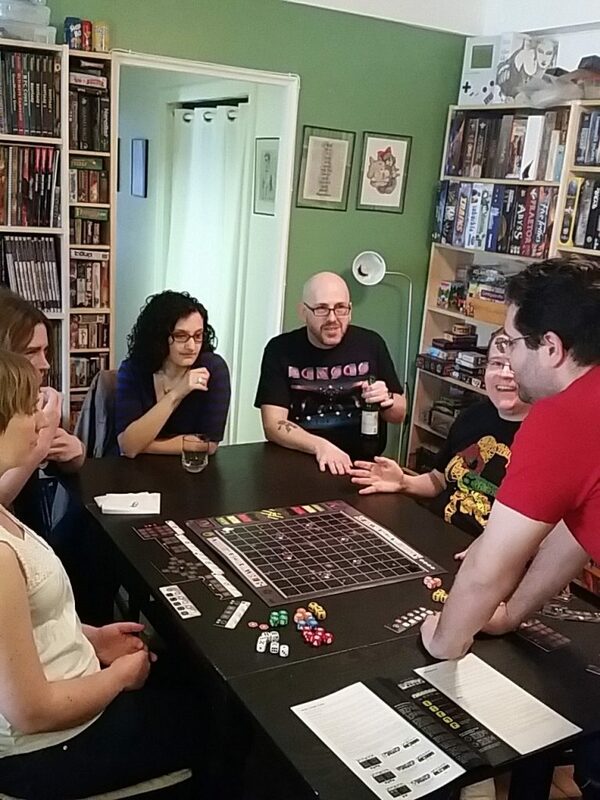 Board games have fundamentally changed my life in that I have found a way to connect with people in a base level and feel totally comfortable while doing it. The hobby has introduced me to a whole new group of friends that I would not have known otherwise and has made me (gasp) enjoy parties. My personal experience with board gaming socially is not a unique one in the least. I had to look no further than across my gaming table to my friends Josh and Nash to find two other socially anxious brothers in arms. Diana – Thank you guys so much for taking the time to talk with me today about your gaming experience. Let’s start with an easy one; what got you guys into board games? Nash – It was actually your husband Rob who got me back into it. I went over expecting to do some video gaming and he drops the Resident Evil Deck Building Game in front of me. That was the door opening up for me to this wild world of board gaming. Diana – Resident Evil! That was one of my “gateway” games too. It may have been the first deckbuilder that I ever played. 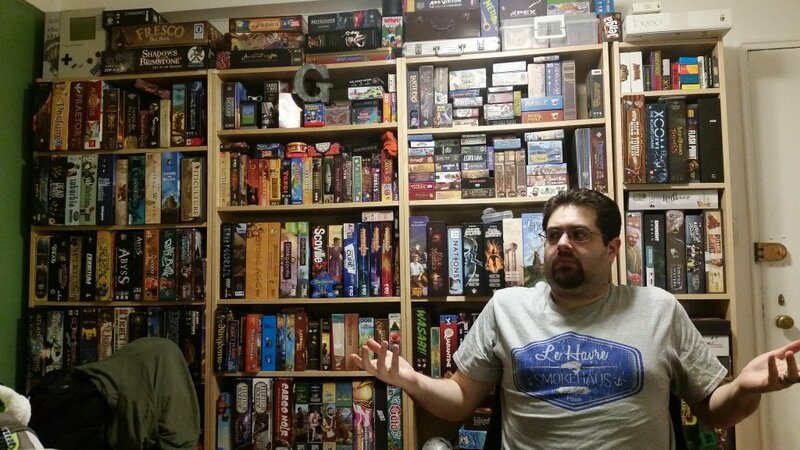 Josh – I became interested in boardgaming relatively recently—and through, curiously enough, Kickstarter. I had just discovered Kickstarter by supporting the Veronica Mars movie, and then I stumbled across Jamey Stegmaier’s Euphoria campaign. The game looked more colorful, more aesthetic, more sophisticated than any games I had ever played in my childhood. I figured I would give it a try—and that’s when I discovered the vast and ever-expanding world of modern boardgaming. Nash – Really? Never noticed. Diana – Funny. Do you guys feel that you are introverts as well or would you categorize yourself in some other way? Josh – Despite the fact that I’m a teacher and do a lot of work in front of large groups of people, I’m definitely an introvert. I find it very difficult to meet new people and almost impossible to go to events with large groups of people I don’t know. I think I’m the classic kind of introvert: There’s nothing quite as satisfying to me as when people cancel plans and I suddenly have more time to sit around my house with my books, my television and my cat. Of course, my introversion also made me nervous when I first started getting into boardgaming. Because the hobby of boardgaming is so reliant upon interacting with other people, it’s an odd choice for an introvert. On the other hand, I think I was secretly glad that my new hobby would force me to get out there and expand my social circles. Nash – I would say I’m an extrovert with heavily introverted tendencies. I have crippling social anxiety disorders so my natural state tends to be alone in my room with my computer being my window to the outside world. It’s by no means healthy for me, but it’s me at my most comfortable. Gaming provides a way for me to get out there and buck those heavily ingrained trends. Having a purpose and a goal outside of simply hanging out makes initial interactions far easier for me. Josh – I know what you mean, whenever my girlfriend wants me to meet new friends of hers, my first question is, “Do they play boardgames?” I don’t really like meeting new people, but boardgaming makes those social situations infinitely more bearable. Once we get a game on the table, then our social interactions have structure. There’s a common topic of discussion (the game) that we can all relate to and return to if things get awkward. People + games + me = no problem hanging out here! Diana – I completely agree with you, I am crap at small talk and often find myself just sitting and watching what is going on around me when I am in a large group. Josh – Exactly! Sometimes you just run out of things to say. With games my sudden silences can be reasonably explained by my concentrating on my next move. Everybody can be playfully combative with one another in a situation that is (mostly) harmless. Once the game is on the table, I find that I can even chat more casually about other random topics—because I’m not afraid of sudden awkward silences that might bring a halt to all socializing; the conversation can always fall back on the safety net of the game. Really, I’ve found games to be a surprising panacea for painful introversion. Diana – I don’t know about you guys, but I find it really difficult to get to know people that I have just met. I have a tendency to want to skip over all the easy conversations and dig right into the meat of what makes a person tick which can be a little off putting sometimes. Do either of you find it hard to get to know new people? Josh– As an introvert, I hate being in situations where I am obliged to make conversation with new people. The compulsory “getting to know you” stage of friendship is always a painful one. I’m inevitably nervous about what questions to ask, how honestly to answer questions posed to me, how to ask follow-up questions on topics I don’t really understand or care about. I dislike having to ask polite questions I may not be terribly interested in (“Tell me about your job as an account executive”) rather than asking the questions that would really entertain me (“Tell me about your first sexual experience”). The worst thing is the nagging insecurity that constantly erodes my confidence: that feeling that whoever I’m meeting and chatting with for the first time is really bored and would rather be talking to someone else. I hate feeling like I’m imposing the mundanity of myself on another human being. But that’s what’s great about boardgames. You might be unentertained by me, but how about this boardgame on the table between us? At least, if you are bored by the game, that’s not really my fault. Nash – It depends on the person. these days I’m very careful about who I let into my life on anything other than a superficial level. Getting to know somebody can be somewhat painful. So looking back on the question, I’d say it’s hard, yes. Diana – Nothing like a good board game to be a set of armor against social anxiety and a great balm to heal old wound. 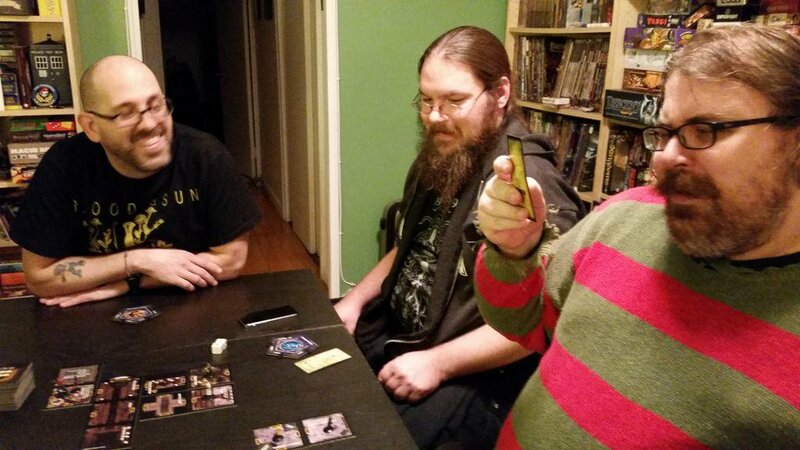 Board games bring together folks of all kinds of facial hair! Diana – Do either of you have a story or some thoughts that you would like to share about how board games have improved your life socially or helped you make new connections? 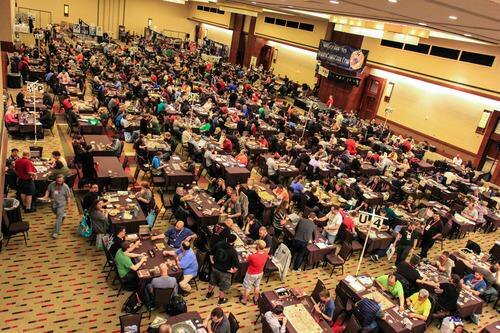 Nash – Board gaming opened me up and introduced me to a community of people I didn’t even know existed. We all tend to be a bit on the fringe of society, but that’s who I’ve always connected to the most. The truth is, many times, the game itself is secondary to the interactions amongst the players while still providing a driving force to keep the night progressing. There’s a magical element to gaming with people, a kinship and a bond that happens so naturally unlike anything I know elsewhere in my life. I was very blessed that I met and got to know the Gamosity crew when I did, gaming with you guys got me through some dark patches. Now I have dice, dice towers, boards, meeples, tables and chairs to thank for that! Diana – Always happy to initiate a new gamer to the tribe! Josh – Realizing I had to expand my social circle if I were going to do this boardgaming thing seriously, I forced myself to go to a meet-up I had found online. 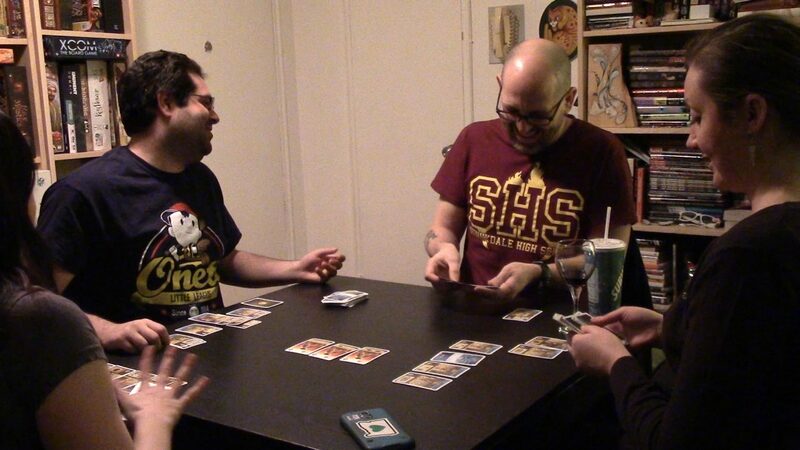 It was the NerdNYC monthly boardgaming meet-up. The first time I went was awful. I played no games. I pretended I wasn’t even there for games—just happened to stumble in. I was even invited to play, but I assumed that the invitation was begrudging and compulsory, because who would want me to join them for a game? I went away discouraged and hating myself. Diana – Aww, Josh! That is kinda sad…but I have had almost the EXACT same night in a different type of social situation. Josh – The next time was a little better. I brought a socially adept friend along with me, and I actually played a couple games. Bolstered by that experience, I went a couple more times, very slowly growing my courage and comfort level. Then, one day, something magical happened. I live in Queens, and I was walking home from the subway when I recognized a man from the boardgaming meet-up. I was only a few blocks from my apartment, and I never thought I would run into anyone from that group so far from where the event was held. I mustered my courage and waved to him—told him I had seen him at the boardgame meet-up. He didn’t recognize me, forgettable as I am, but he was friendly enough. I told him we should get together sometime for some gaming since we lived so near each other. And that’s when my karma paid off and the universe rewarded me for the social courage I had been exhibiting over the previous couple months. He told me that he wasn’t the only one who lived in the area—that the organizer of the NerdNYC event lived a few blocks that way, that another person I had gamed with at the meet-up lived a couple blocks over there, that, in fact, within a five-block radius, there were no fewer than seven serious boardgaming households. I had inadvertently stumbled into a thriving nest of like-minded (mostly introverted as well) gamers, and I had found this man, this Andrew Fisher, who was willing to be the Virgil to my Dante through the Queens inferno of gaming culture. Yep, that’s our Virgil, on the right. So wise. Diana – And by proxy you gained all of us as well! Thank you for sharing that. Thank you both so much for being so open with me today. I know that sometimes this isn’t the easiest thing to share with the world. Nash – It is my pleasure! Diana – Since we all seem to be in agreement that we are in fact a trio of socially awkward board game lovers do either of you have final fond memory of board gaming you would like to share? Josh – I had a birthday recently in which I indulged both my introversion and my passion for gaming. My girlfriend and I spent all day in my apartment in a marathon boardgaming session. We played game after game, just she and I, for hours. She was a trooper, and I got a month’s worth of games played in a single day. It was a carnival of cardboard and take-out, and it was blissful. Nash – The first time I sat down with a group of people and we got through an entire game of Fury of Dracula. I was told most people don’t enjoy it, but we had a blast. By the time it was over, we were all exhausted and yet talking up a storm. The best games are the ones where you have a detail rich story that stays with you long after the board is put away. 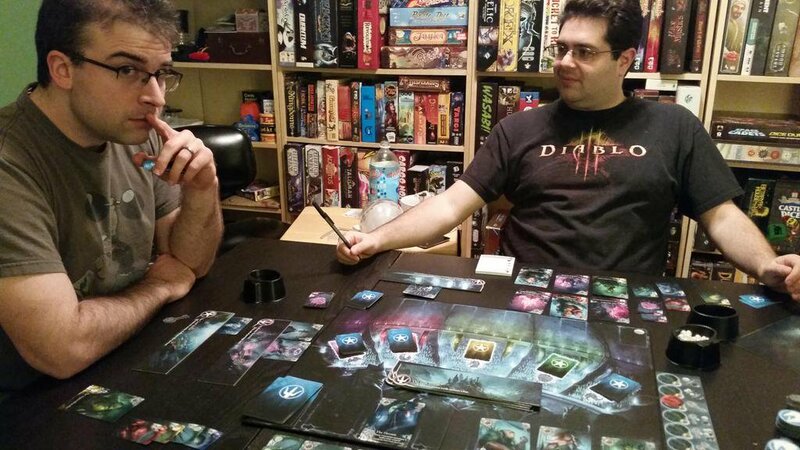 Josh – Diana, your turn; what is your best memory from board gaming? Diana – That’s an easy one. It goes back a few years ago, long before Gameosity was even a gleam in Andrew’s eye. In fact I think Andrew only owned four or five board games at the time. Nash – Really?! A time like that exists? In Nash’s defense, Andrew’s apartment is more a game shrine and archive than living space these days. Diana – Anyway, Rob and I came over for the day to hang out with Andrew and Jessica. At the time Rob was just getting to know them and we were all still trying to find our comfort zones with each other and were not quite the family yet that we are today. I don’t know who suggested it but we decided to try out a board game called Elder Sign and somewhere in the middle of fighting elder gods and learning that Harvey Walters is the ultimate badass we started to relax into a more casual group and the last bits of social unease faded away. It was the start of something that day that would take us much further into the world of friendship, family and games that we ever imagined. I never would have thought that something as simple as board games could have such a positive influence on not just my life but on the lives of my friends as well. If you have had experiences similar to ours please share them with us. Also if you are in New York, come out to a board game night in the city sometime, we are often there and we, well I am getting better at making new friends! Previous Post:Game in a Minute Ep.4 Floating Market is Slightly Late But Here! I loved reading this, I am also an introvert, and have recently been getting into board games, roleplaying, and possibly wargaming now too. My main problem is, I don’t have anyone really to play with. My mother is pretty strongly stuck to traditional board games like draughts (checkers), and Snakes & Ladders. I remember playing Knightmare board game when I was a kid, and loving the adventure of entering beautifully illustrated rooms, picking a card and seeing what was in that room! Naturally I am attracted to Dungeons and Dragons, and am in the process of learning how to play D&D 3.5e solo. I am attempting to collect board and card games that are playable with a minimum of 1 player, so I can play on my own and learn the ropes, but also hopefully with others if I can ever find anyone I know to play with, and am just too introverted to find a physical group of people to play with. With being female too, I find it a little extra nerve-wracking to seek out a group of whom I presume will be predominantly male players, although no doubt they would be friendly and welcome another player. It’s just plucking up that initial courage to enter, and then speak up to say I wanna play! Hey Adventure Girl, thanks for chiming in! While Diana can absolutely speak for herself, I really appreciate where you are coming from. Just this past weekend, I started a new roleplaying campaign (I’m running Dungeon World, though D&D is an old friend of ours), and I was just reflecting on how lucky I am to have such a gender-balanced game group – in fact, 3 out of 3 players in this campaign are ladies, playing ladies. Of course, not every group is built that way, but everyone should feel welcome and safe at the gaming table, and I sincerely hope you find one that works for you! Nearly all of them are minimum 1 player, but can be expanded. In particular, his #1 is a fantastic game, and affordable and portable to boot, so check it out!…but ignore Roads & Boats – it’s terrible and he should feel bad for liking it. Thank you for the amazing comments, I am so happy that you connected with what I wrote! I fully encourage you to seek out fellow gamers and take a chance on them, I have found that they all tend to be very nice and super welcoming. Don’t know where you live but I suggest checking out local coffee shops or game stores for announcements about game nights, even if you don’t feel like joining in on a game it is still good to go and see what everyone is playing. Also check out that solo game suggestion list by Rob, there are a lot of great games on it. Happy gaming! Hi Andrew & Diana, Thanks so much for your kind replies! I live in the UK, not sure we have many coffee shops we have with game nights, but there is at least one game store a couple of towns away. Is it bad that I’ve never plucked up the courage to go in it? I tend to buy games over the internet or in secondhand shops. I think I will try out some more games at home first so I feel less like a newbie! Wow you have a nearly all girl game group? That sounds unusual, and breaking stereotypes. Hopefully when I am ready I will find a group I can feel comfortable with and safe. It doesn’t have to be all girls, mixed is fine! I would love to see a list of gateway/starter games, they would be great for attempting to get my family to play, and for me to try out some new games too. Thanks so much for the link to Rob’s list of fave solo games. There are plenty for me to check out from here. Elder Sign, Robinson Crusoe and Legendary Encounters stand out for me. I love Firefly TV Series, movie and graphic novels, so I’m sure I would love to check out the game too! Ooh, might have to try out Apex too (love Dinosaurs!) and Tiny Epic Galaxies too! I need to watch the pennies at the moment though, so any I can get cheaply would be good. I think I blew my piggy bank on ebay on Dungeons and Dragons books and miniatures, and some Shadowrun too! I did manage to get Space Hulk Death Angel the Card Game though, so that should be fun to try out! I also have Temple Run (my Mum enjoyed playing that with me! ), and an obscure game I found at a charity shop, Special Delivery, where you have to deliver parcels all across a fictional map, which is surprisingly good fun!